Partner of the Public Law and Natural Resources area. His practice focuses mainly on strategic advice for the environmental assessment of investment projects in areas such as mining, energy, infrastructure and agro-industry. Additionally, he advises clients in the administrative and judicial defense of these types of projects. He was Viceminister and Head of the Legal Division in the Ministry of the Environment. He was also a member of the Presidential Advisory Commission for the study of a reform to the Environmental Impact Assessment System (appointed by Supreme Decree No. 20 of 2015, issued by the Ministry of the Environment). 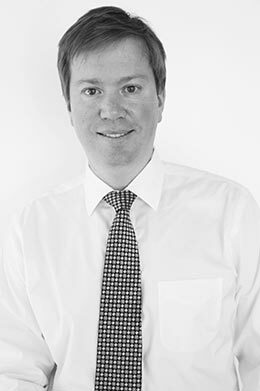 He previously worked at Jara Del Favero Abogados and was a partner at Baker & Mckenzie. Graduated from Pontificia Universidad Católica de Chile Law School in 2006. Diploma on Environmental Law, Pontificia Universidad Católica de Chile, 2007. He has been a lecturer of environmental law at Pontificia Universidad Católica School of Law, at Universidad Finis Terrae and at the Naval War Academy. He is currently a faculty member of the Master in Environmental Law at the Universidad del Desarrollo.